If you remember, it was back in the waning days of the 2008 presidential election in Columbia, Missouri when then Senator and presidential candidate Barack Obama made a defining assertion: “We are five days away from fundamentally transforming the United States of America.” What I found interesting was that no one said, “Time out on the court coach. What exactly are you talking about?” The lack of any principled inquiry evidenced something very disconcerting in that no one cared what we were supposedly being fundamentally transformed into. Or even a greater point of inquiry should have been, from an astute electorate, why are we fundamentally transforming the world’s longest running constitutional republic? Those of you who know a little about me, know that I am a college football nut. That is what happens when you are born and raised down South. Yes, I attended a Southeastern Conference (SEC) school, the University of Tennessee. Don’t talk to me about this past Saturday. Now, I can attest that if someone were to stand up and declare that we were going to fundamentally transform SEC college football, folks would take huge interest. But why did we care little about our own nation being fundamentally transformed? Well, since that grand proclamation by Barack Obama, we have witnessed, truly, the fundamental transformation of our America. Ask yourself, 15 years ago, would anyone have believed that someone could openly run as a progressive socialist in America, and find electoral success? If there is any real lesson learned from the 2018 midterm elections – besides noting that Broward County, Florida election supervisor Brenda Snipes has issues – it is that our nation is being ideologically transformed before our eyes. We are watching more and more economically strong and successful red states struggling to maintain a conservative electoral majority. How do you fundamentally transform the United States of America? Simple, progressive socialists migrate into red states and turn them blue. Therefore, I wrote the book, “Hold Texas, Hold the Nation: Victory or Death.” I saw this trend, this strategic objective being put into motion some time ago. And here in Texas, during this last midterm election, we saw a young unapologetic progressive socialist, Rep. Robert Francis O’Rourke, almost win a statewide U.S. Senate race in the Lone Star State. No, it is not as Ms. Keith has advocated. These leftists are not moving into the wide-open spaces, the rural areas. They are congregating right in the major urban centers, the places where you will find the greatest failure of progressive socialist policies. Here in Texas, Rep. O’Rourke found massive success in Dallas (Dallas County), Houston (Harris County), San Antonio (Bexar County), and Austin (Travis County). However, it is not just here. Take a look at what happened in my birth state of Georgia, where one Stacy Abrams drew close in a statewide gubernatorial election. An examination of the Georgia electoral map for that race will evidence that her major support was centered in the metropolitan Atlanta area, a sanctuary city for illegal immigrants, which she advocated for to vote. Just as Rep. O’Rourke did here in Texas, she supported open borders, abolishing ICE, and decriminalizing illegally crossing our sovereign border. We have seen formerly red states like Nevada, Arizona, New Mexico, and Colorado turn blue. And in each of those cases, it is about the control of major metropolitan areas by the Democrats. The same is also happening on the other side of the Mississippi river in states like Virginia, Georgia, Tennessee, North Carolina, and of course Florida. I hate to admit this, but in Islamic theory it is called Al Hijra, advancing the cause of Islam through migration. Just ask the folks in western Europe about the ramifications. Here in America, there is a demographic shift, due to migration, that is leading to a fundamental, ideological shift in red states. What we are witnessing is the export of progressive socialism from failing blue states like California, Illinois, New York, and New Jersey into successful red states. What is truly perplexing and absurd, is that businesses, corporations, and individuals are fleeing these blue states, but still cling to those same failed leftist policies. Hmm, talk about Lot’s wife looking back on the destruction of Sodom and Gomorrah, except these folks do not turn into a pillar of salt. Pam Keith’s Twitter post is the left’s secret – well, not so anymore – weapon to fundamentally transform America. When they move into new areas, they then run for two important elected positions, City Council and School Board. Even here in Texas, back in September, there had to be an emergency hearing of the Texas State Board of Education because someone had come up with the idea to remove the reference of “heroic” from Texas history books in describing the defenders of The Alamo. And earlier this year, there were folks who presented the idea of changing the name of Texas’ State Capitol from Austin, named after Texas founding father Stephen F. Austin. Maybe the folks in Austin would prefer Beto, Texas? Ms. Keith is right, just a few tens of thousands of migrating progressive socialists can make a difference in red states. But if I may educate Ms. Keith, if you research, you will find that the newly converted blue states are no longer affordable, and they have serious homeless issues. Just take a visit to Austin, Texas. The purpose of the migration is not to improve the state, but rather to control it for political purposes. And in a way, Ms. Keith admits that blue states are failing. What must happen? 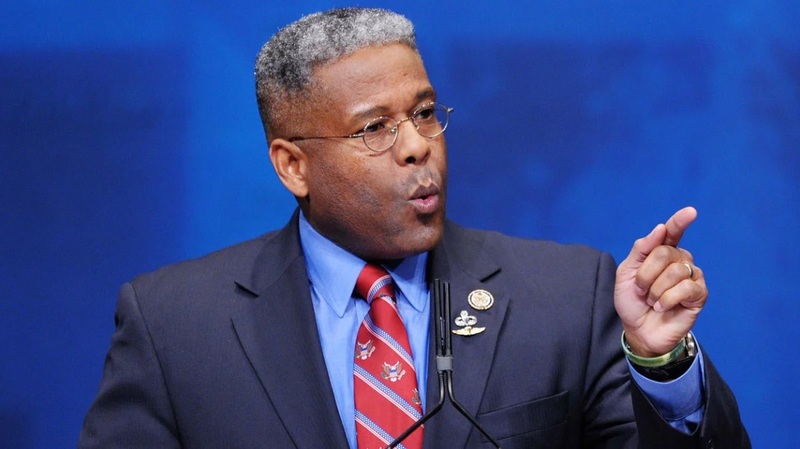 It is time for constitutional conservatives to develop a counter strategy. I would recommend billboards that welcome new arrivals, but ask them, “why are you here?” I would also recommend that conservatives run astute, young, charismatic candidates in these urban population centers, and challenge the left where they believe they are strong. Lastly, educate people moving into red states as to why those states are successful, and ask why anyone would want to embrace failure. The 2018 midterm elections proved that even a state like Texas is in play for 2020. The migration is real, the objective is clearly defined, and the result is within reach – the fundamental transformation of the United States of America.